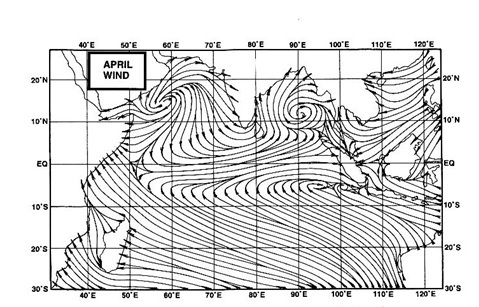 The wind and streamline pattern of the sub continent seems to be getting a bit organised and seasonal. Gujarat region, madhya Maharashtra and the Konkan coast had good and heavy rains Monday/Tuesday. Mumbai had the expected 34 mms of rain and Aurangabad and Osmanabad were the wet spots in interior Maharashtra with 90 mms each. The good news for the coming 10 days is that a wet session is expected, first on the west coast and adjoining interiors, and then the east coast. As per the map , cross equatorial flows are picking up, and could increase rain bearing clouds along the west coast. According to forecast models, upper air circulations are expected to form along the Gujarat and Maharashtra coast, within a day or two, hence attracting the monsoon westerlies from the Arabian Sea. The monsoon trough has also started moving south, and is now running across Rajasthan,M.P. and towards the bay. This may leave the north/north west India drier for a few days. Hence, for the west coast, a wet and active monsoon can be expected in the first week of September. Subsequently, on the 2nd. a low is expected to form in the Bay, as predicted by the IMD, which will enhance rainfall activity along the east coast. This low can strenghten, and move inland towards the central regions of India. The succesor to the Pacific typhoon "Sepat" is emerging, and is forecasted to hit Japan around the 6th. September. For long term forecasting, the resultant pulse from this may form a low in the bay in the second week of September, around 10-12th. This has to be studied and observed.